Also known as galanga. A very good substitute for fresh galangal, you can place this product in lukewarm water to reconstitute, then use as desired. More about galangal at this link. Each package is made from approx 32 oz fresh galangal (2 lb) so this is a great deal, as any market that happens to offer fresh galangal usually charges $9.95 or more per lb. We have seen specialty spice stores selling dried galangal for $6.50 per ounce! Ours is always new stock. Made in Thailand. All natural, 100% galangal. Great aroma and flavor. 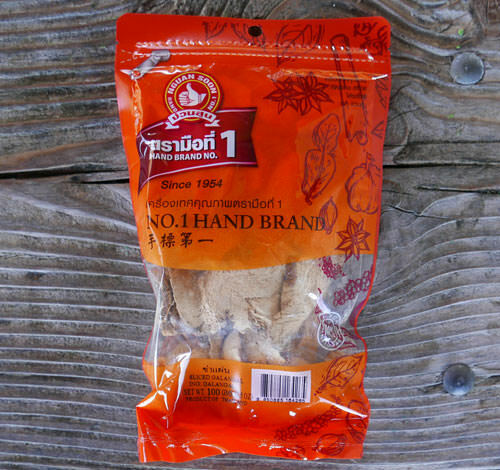 We also offer galangal powder.